This is our first trip back to MS since Lawson's mother passed away in January, 2003. 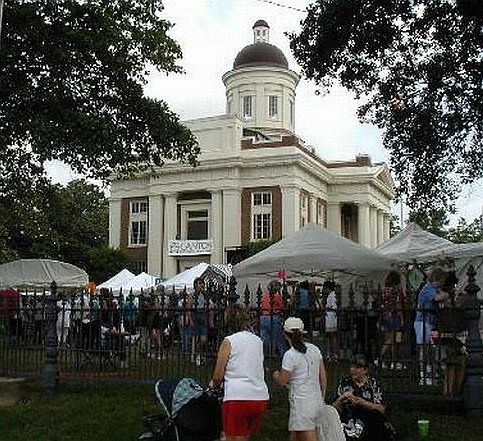 We made the trip this time to attend the Canton Flea Market that is held in Canton, MS on the 2nd Thursday of May and October each year. Over 50,000 visitors pack into Canton (normal population of 13,000) for one day of shopping madness. We had never attended before, so this set the timing for our trip. We left Richmond Sunday, May 4th on US-59 north to Livingston, then US-190 east to Martin Dies, Jr. State Park near Jasper, TX. This is a beautiful park located on B.A. Steinhagen Reservoir. 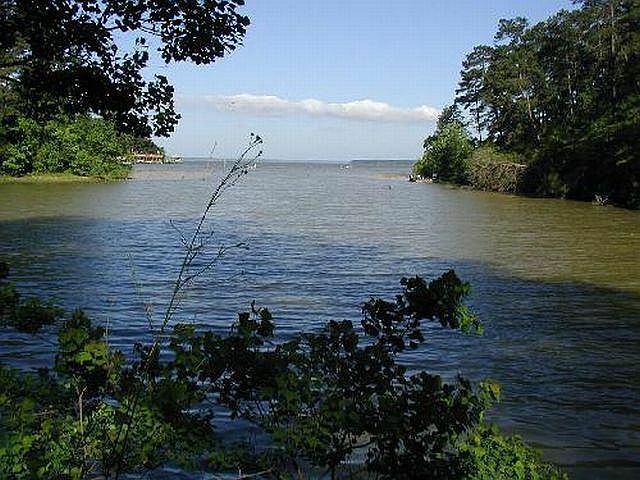 The campsites are large and many are located on the water. We saw many birds and our first ever male summer tanager. Monday, we continued east into Louisiana, through Alexandria and across the Mississippi River at Natchez, Mississippi. We spent the night at Natchez State Park, where we've stayed several times before. The camping facilities are very nice, in a beautiful wooded setting. Tuesday we started up the Natchez Trace Parkway toward Raymond, MS. We stopped at Rocky Springs Campground and looked around some. The campground is located on the site of an old ghost town. The only building still remaining is the Rocky Springs Methodist Church and old cemetery behind it. We looked around it and the old townsite remains, then went on up the Trace to Raymond, where we spent the night at Faye & Ray McFarland's (Lawson's sister and brother-in-law) home. 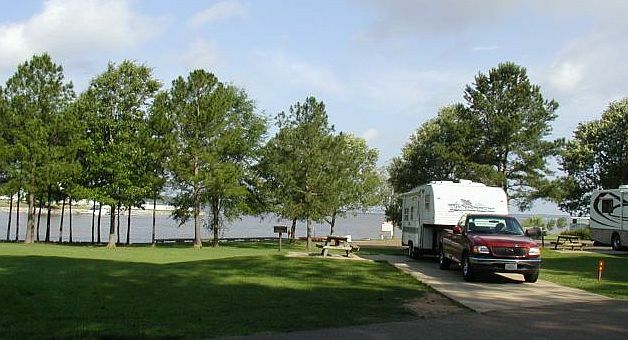 Wednesday we moved to Jackson and camped at Timberlake Campground on Lake Barnett. 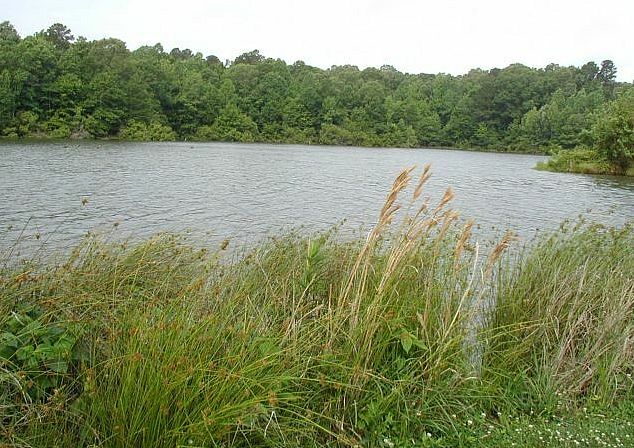 This is a beautiful campground with a good view of the lake and is very convenient to shopping. Thursday was the day of the big Canton Flea Market, so we got up early and drove across the lake and up to Canton via Hwy 43 (the back way) to escape the traffic on the main routes. We spent the day with Faye & Ray, walking through hundreds of booths covering the courthouse square and down many other side streets. It was interesting, but we were all very tired and happy to leave when it was over. Friday morning we traveled up MS-25 & MS-16 northeast from Jackson to Philadelphia, stopping in Carthage along the way for a little touristing and visiting Lawson's cousin. In Philadelphia, we settled into Frog Level RV Park. After getting set up we went over to the old Williams Brothers store for a little looking and shopping. This place is almost a museum. You can buy everything from horse collars to bacon sliced right on the spot just like they did 50 years ago. No trip to Philadelphia is complete without visiting Williams Brothers. Saturday morning we took a driving/walking tour of the Philadelphia Historic District which is an architecturally significant residential neighborhood that documents the "boom time" of a small rural city in the early part of the twentieth century. There were 35 homes identified in the tour document. 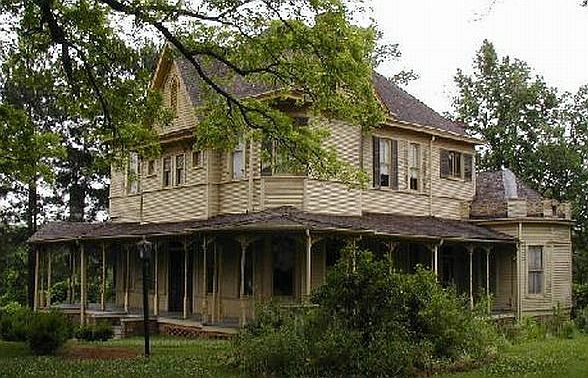 The oldest home was the Hester House (Circa 1904). 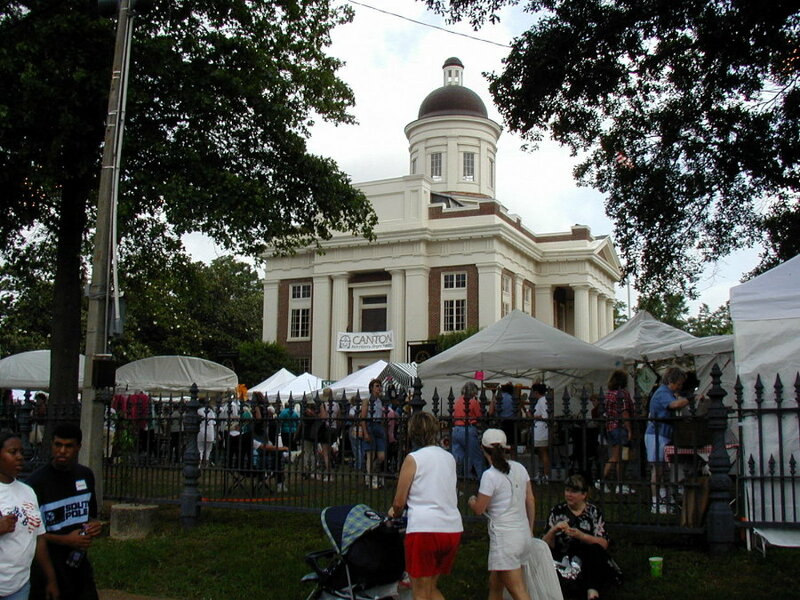 Next, we visited the Neshoba County Historical Museum. The museum is located in the George Pegram Woodward home, built shortly after the Civil War. It is an interesting museum with many local items on display. In the afternoon, we drove onto the nearby Choctaw Indian Reservation. There are two large modern casinos in operation in this very rural setting. We ate lunch in one of the casino's restaurant. Since we are not gamblers, we simply walked through the casinos, watching the poor people losing their money. 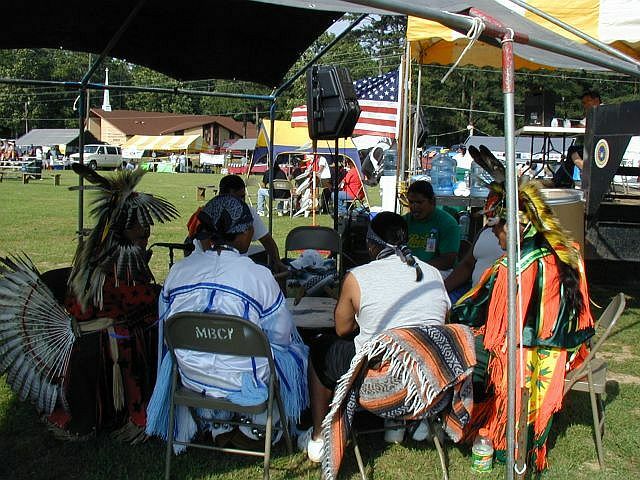 Afterwards we drove further into the reservation and happened onto a Pow Wow in process. 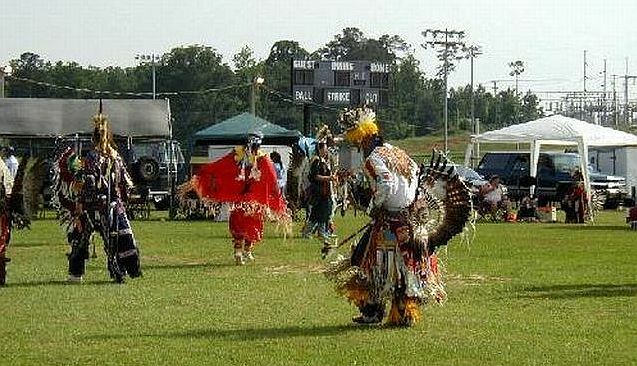 It was quite a festive event, with many costumed dancers and drummers, with booths selling Indian crafted items. It was an unusual experience. Sunday we drove into the countryside to visit another of Lawson's cousins. Monday morning, we departed Philadelphia via MS-16, stopping near DeKalb to visit still more of Lawson's cousins. After several stops along the way, we continued down MS-39 into Meridian, where we spent the first night at Benchmark RV Park. Next day we met with another of Lawson's cousins, Dorothy Wall. Faye & Ray drove over for the day and joined us all for a nice visit. We decided to change RV parks to find one a little more scenic. We took the trailer to Nanabe Creek Campground, which was a good move. 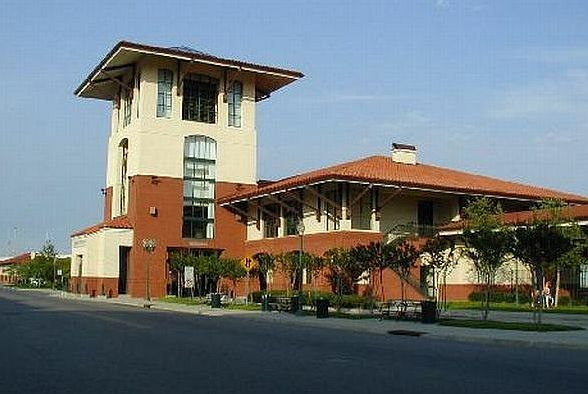 In the afternoon, we drove to downtown Meridian and looked around the restored Union Station. It is still in use by Amtrac. We also drove around and located the remains of the old Maywebb Hosiery Mill that is evidently going to be torn down soon. There were two knitting mills that were in operation in Meridian around 1920. Lawson's mother worked in her early adulthood at The Alden Mills. We found the old Alden Mills building and the current plant manager kindly showed us the inside of the plant, now used as a warehouse. Wednesday, we toured two historic homes in Meridian. 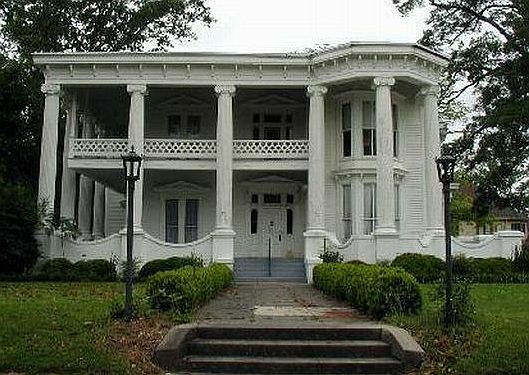 Merrehope is a stately 20-room mansion, featuring unusual woodwork, handsome columns, mantels and stairways. 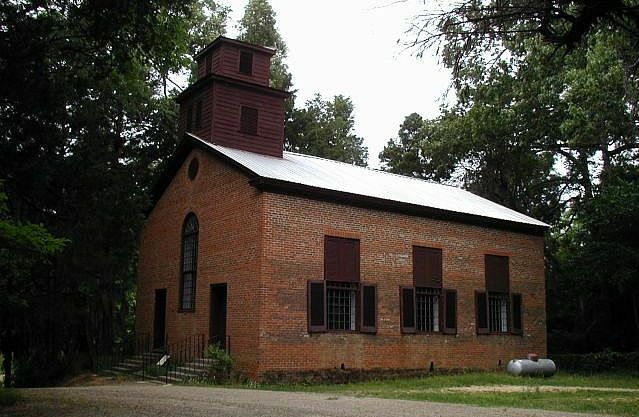 It was used as headquarters for Confederate General Leonidas Polk and was spared by Union General William T. Sherman. 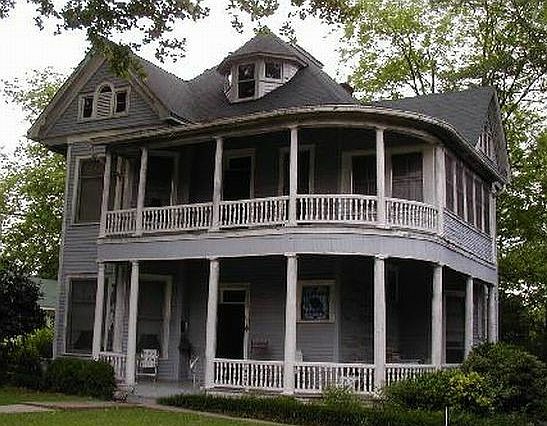 The Frank W. Williams House is an excellent example of Queen Anne Victorian architecture, with stained glass, oak paneling, parquet floors and detailed gingerbread. In the afternoon we drove to Butler, AL to visit another of Lawson's cousins. On the way we stopped at the Causeyville General Store. 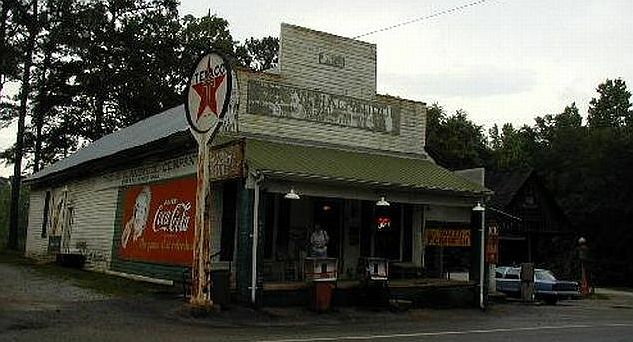 This 1895 general store and gristmill has original fixtures. It contains a Mechanical Musical Museum that is a popular attraction. Thursday morning, we left Nanabee Creek Campground. We stopped in Meridian at Highland Park to view the Dentzel Carousel. Manufactured around 1895 by Gustav Dentzel of Philadelphia, PA. 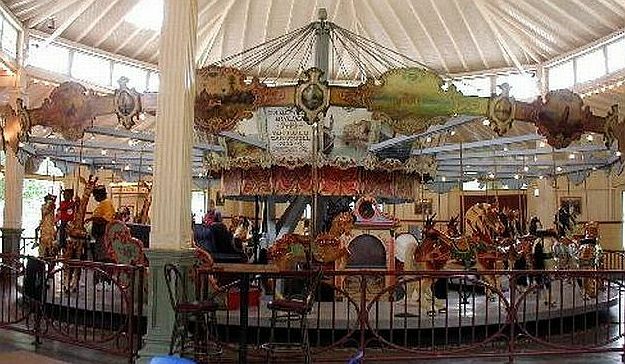 Original oil paintings of museum quality adorn the top crown of the carousel. All of the animals are meticulously hand-carved of brass and poplar wood. Leaving Meridian, we headed south on IH-59, stopping at Dunn's Falls. 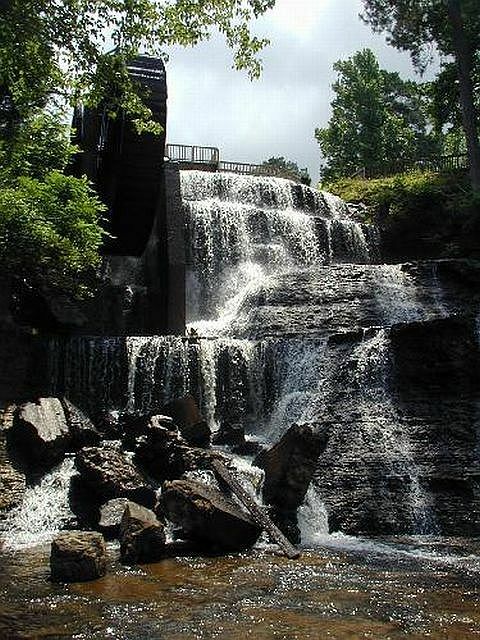 This 65-foot waterfall was once used as a power source for a gristmill and the manufacture of Stetson hats. We then continued our trip via IH-20 and US-61 to Vidalia, LA. We stayed at Riverview RV Park. 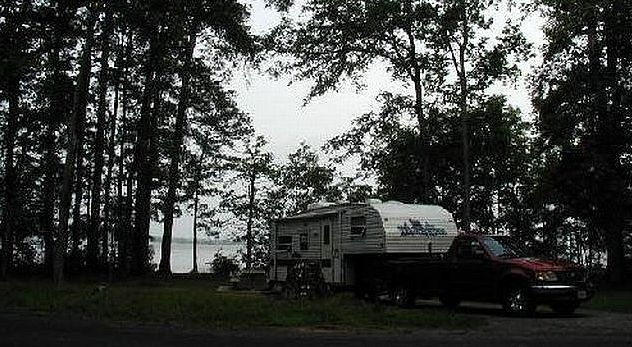 Friday we traveled all day, spending the night at Livingston State Park, located on Lake Livingston. This ends our 2003 Mississippi RV Mini-Vacation. We hope you enjoyed the pictures and brief descriptions of our activities. God willing, join us again for another RV adventure soon.